Ontario Fishing Directory - Lures and Tours Blog: WRVO - Reno! Reno Viola - Launches Live Fishing Media Opportunities! WRVO - Reno! Reno Viola - Launches Live Fishing Media Opportunities! WRVO Radio Network Welcomes Radio Hosts, Video Hosts, Bloggers! 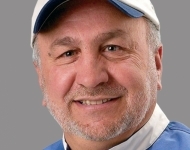 January 21, 2013 - Reno Viola, Canadian Angler Hall of Fame inductee, brings exciting international broadcast opportunities via WRVO Live Fishing Internet Radio Network . WRVO, the newest media tool to help the fishing industry get all the attention that it deserves, expands on Reno Viola’s 30 year rich broadcast and outdoor industry, background. Broadcasting worldwide live 24 - 7 WRVO Radio Network will open opportunities for fishing Talk Show Hosts from around the world to share their passion. WRVO Radio Network website will cultivate a community of hopeful host bloggers and video hosts to livestream tournament weigh ins. Livestreamed Tournament weighins will starting with Ontario Bass tournaments then expand to North American coverage. Veteran co-host of TV’s Fish’n Canada Show, and The Outdoor Journal Radio Show, Reno Viola seeks to enable talented anglers and outdoor writers. WRVO Radio Network 'Talk & Information' format will feature Radio shows from all walks in the fishing world, with hosts talking about everything from 'pan fish in Ontario to deep sea monsters in Australia and all places and topics in between'. Listen live to WRVO Network anywhere Worldwide on TUNEIN Radio and Shoutcast Radio using free smartphone apps or on your computer by clicking on the LISTEN LIVE button. Miss a show? No problem - podcasts will be available for download from the site. Visit WRVO to find out more about how you can become involved with this exciting new opportunity! Want to find out more about Reno Viola the visionary angler and entrepreneur? Visit LuresAndTours Reno Viola Pro-Angler web page..